You should look at both market benchmark indices and category average returns when evaluating the performance of your mutual fund. Your mutual fund return may beat the market benchmark index but may still be lower than category average, which means that you have better investment options. On the other hand your mutual return may beat category average, but still be lower than the market benchmark. There may be funds in the same category, which have beaten the market benchmark and therefore present better investment opportunity for you. 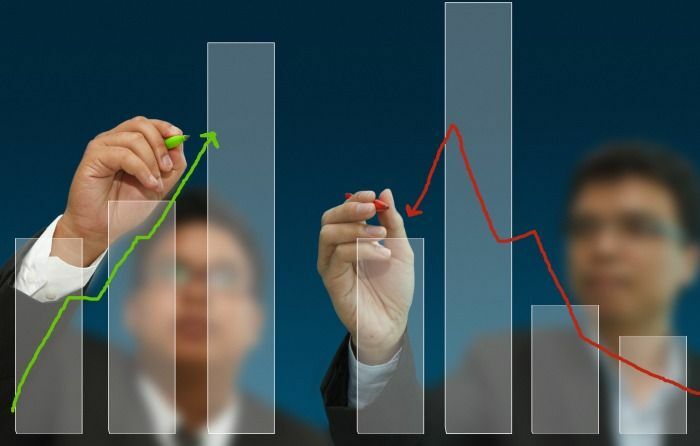 In addition to comparing the performance of your fund with the market benchmark and the category, you should also look at special benchmark indices constructed by the mutual fund rating firms, if possible. In this article, we will focus only the market benchmark indices of various mutual fund categories. The benchmark indices of large cap funds are CNX Nifty and BSE Sensex. The fund itself may have a different benchmark in its scheme information document, but you should consider using Nifty or Sensex as the single benchmark index for all your funds in this category. Nifty is a better benchmark index than the Sensex because the Nifty basket of stocks is bigger than that of the Sensex. If the portfolio has significant holding in stocks which are not in the Nifty or Sensex basket (e.g. Top 100 or Top 200 funds) then you can use the BSE 100 as a benchmark index. The chart below shows the 1 year, 2 years and 3 years returns of Nifty and Sensex. Diversified equity funds comprise of both large cap and midcap stocks, and stocks across various sectors. How will you know, if your fund is a diversified equity fund? Unfortunately it is not easy to know because virtually every equity fund, whether it is essentially a large cap fund or small and midcap or a multi-cap fund, describes itself as a diversified equity scheme. Also, the mutual fund category definitions and nomenclatures are not consistent across different mutual fund research firms. You can use the CRISIL category definitions or the definitions of any research firm, but make sure you understand the category definition, whatever the nomenclature is. For diversified equity funds as defined by CRISIL (some research firms also call it multi cap funds), we should use a CNX 500 or the S&P BSE 500 index as the market benchmark index. The chart below shows the 1 year, 2 years and 3 years returns of CNX 500 and BSE 500 index. The market benchmark index for small and midcap funds is the CNX Midcap Index or the S&P BSE Midcap index. The chart below shows the 1 year, 2 years and 3 years returns of CNX Midcap and BSE Midcap index. Equity linked savings schemes are tax saving mutual funds. Apart from the tax saving eligibility under Section 80C of the Income Tax, ELSS funds are essentially diversified equity funds with a lock in period of 3 years. Like diversified equity funds, the market benchmark index of ELSS funds, should be the CNX 500 or the S&P BSE 500 index. The benchmark for liquid and ultra short term debt funds is the savings bank interest rate. For the last few years the savings bank interest rate has been around 4%. The benchmark returns for Fixed Maturity Plans (FMPs) and Debt Funds are the 1 year, 2 years and 3 years Bank Fixed Deposit interest rates. You can either use the interest rates that you are getting on your own fixed deposits or you can get fixed deposit rates for various maturities on the bank websites. The table below shows the FD interest rates offered by ICICI Bank for different maturities (over 1 year). Balanced Funds and Monthly Income Plans (MIPs) are hybrid debt and equity schemes. You can construct a hybrid benchmark using CNX 500 for the equity portion and Bank FD interest rate for the debt portion. You should weight the benchmark return using the asset allocation (equity and debt) percentages of your hybrid fund, to calculate the weighted average benchmark return. Arbitrage funds are, by definition, risk free investments. Since these funds are used for short term risk free investments, you should use the savings bank interest rate as the benchmark. Investors should note that the returns of arbitrage funds are contingent on arbitrage opportunities in the stock market. Arbitrage opportunities increase when the market volatility is higher and decrease when the volatility is lower. Therefore arbitrage fund investors should also track the volatility or VIX index. In this article, we have discussed the market benchmark indices for various categories of mutual funds. You should always compare the performance of your funds with the benchmark indices. A good fund manager should be able to beat the benchmark indices on a consistent basis.